I’ve never solved a Rubik’s Cube. I’ve always been impressed at humans who can solve them in a matter of seconds, using some sort of pattern I’ve never taken the time to figure out. 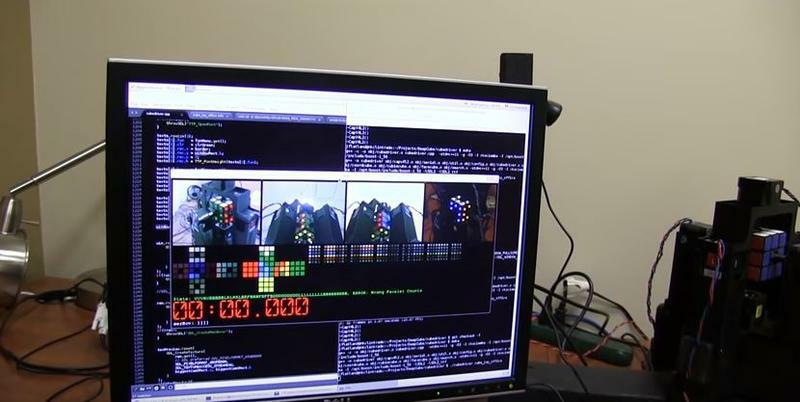 Now, a couple of hobbyists have trained their robot to solve the same puzzle in just over a second. Makes me feel pretty dumb. 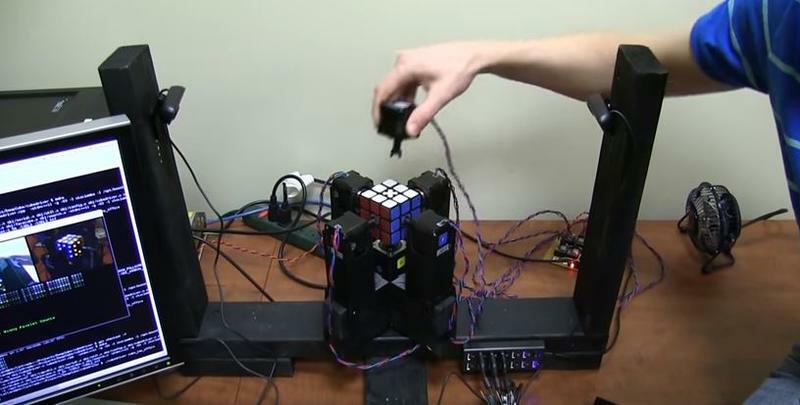 In the video above, Jay Flatland and his friend Paul show how the whole robot works – with stepper motors and 3D-printed frames that hold each side of the Rubik’s Cube. save for holes on the side of the puzzle, which allow the Robot to hold on, it’s an unmodified Rubik’s Cube. 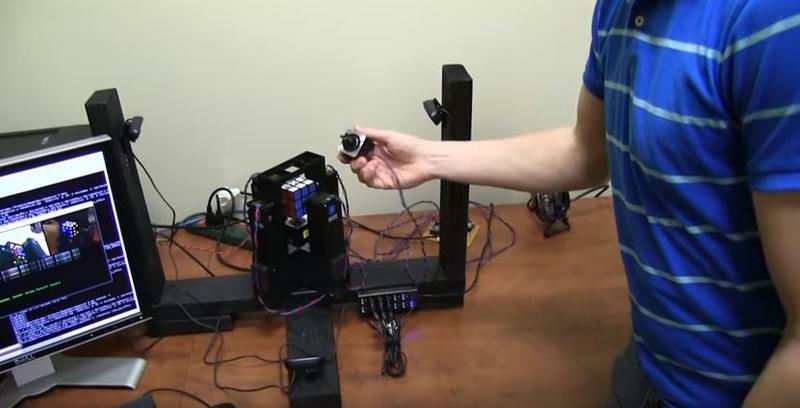 Other components include four Web cams that send video data into a Linux-powered computer that’s running a Rubik’s Cube solving algorithm. The end result? 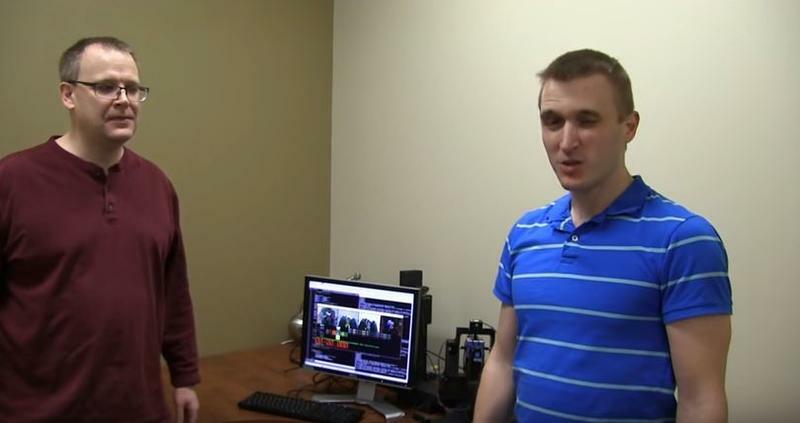 A machine that can solve the puzzle in 1.047 seconds. Impressive.